The master-planned community of Summerlin in Las Vegas, NV has some great age-restricted communities to offer retirees. A popular trend among active adults isn’t just living in a 55-plus community, but also in a master-planned community. Master-planned communities include several planned neighborhoods as well as city-like amenities, including shopping centers, hospitals, schools, and entertainment districts. 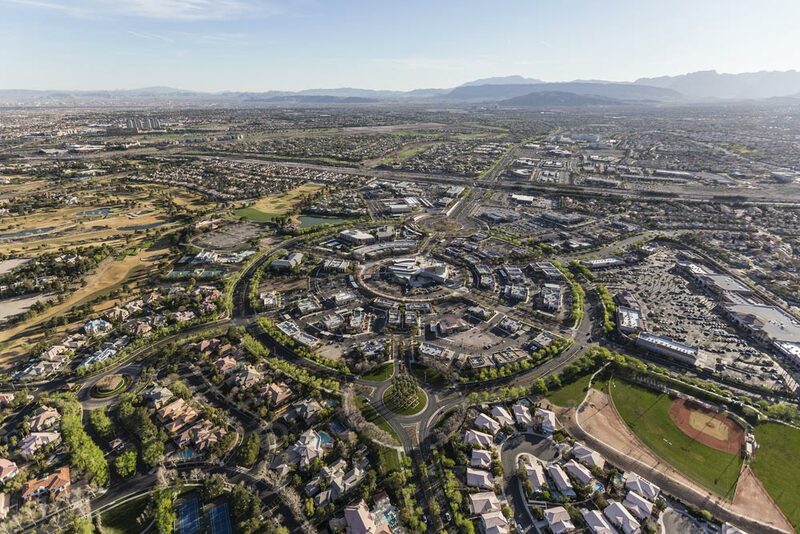 One of the most popular master-planned communities in the country is Summerlin. Located on the western edge of Las Vegas, it has attracted those from across the country looking to live in the entertainment capital of the world. Another reason active adults love Summerlin is because of their 55-plus communities. Active adults looking to live in Summerlin are able to choose between Sun City Summerlin, Trilogy at Summerlin, Regency at Summerlin, and Siena. Each community has its own unique aspects that cater to active adults from all walks of life. Residents of these active adult communities not only enjoy the amenities provided in their own neighborhood, but also those provided by the Summerlin master association. That includes three pools, miles of trails, several shopping centers, and the many festivals held year-round in Summerlin. Sun City Summerlin comes with all the bells and whistles active adults have come to expect from Sun City communities. That includes multiple clubhouses, recreation centers, and golf courses. The community has over 7,500 single-family and attached homes, giving the community a dynamic and plentiful lifestyle. There are over 100 clubs, groups, and events held in the community, among them are fitness classes, theater, travel, a classic car show, and Oktoberfest. The community specializes in a variety of different home plans and sizes, so whether you’re looking to downsize or have ample space for visiting family, Sun City Summerlin will have the home for you. Attached homes in the community are generally priced from the high $100s to the mid $300s and run from the 1,003 to 1,757 square feet of living space. They include one or two bedrooms, one to two-and-a-half bathrooms, and one-and-a-half to two-and-a-half car garages. Single-family homes are priced from the low $200s up to the low $900s and range in size from 1,086 to 2,895 square-feet. They include one to three bedrooms, two or two-and-a-half bathrooms, and two or two-and-a-half car garages. There are four separate clubhouses in the community, each with a focus on certain amenities. Mountain Shadows clubhouse revolves around outdoor amenities like a lap pool, tennis courts, shuffleboard courts, mini golf, and horseshoe pits. It is also the home of the 18-hole Palm Valley Golf Course. The Desert Vista clubhouse focuses on fitness and networking. The 44,000 square-foot clubhouse includes a fitness center, aerobics studio, grand ballroom, sewing room, and several sports courts. Sun Shadows is home to the community’s Olympic indoor pool and spa as well as several meeting and game rooms. The Pinnacle clubhouse features the 312-seat Starbright Theater, The Summit restaurant, an outdoor pool, and the 18-hole Eagle Crest Golf Course. Sun City Summerlin is also home to one other course, the 18-hole Highland Falls Golf Course which features a restaurant, pro shop, putting green, and driving range. The newest active adult community in Summerlin is Trilogy. The new construction community will include three attached home collections with four or five floor plans each. Homes start in the low $400s and go to the high $700s and range between 1,538 to 2,915 square feet of living space. Homes include two or three bedrooms, two to three-and-a-half bathrooms, and two-car garages. Amenities are coming soon but will include a clubhouse with multi-purpose room, fitness center, and art studio. Outdoors, residents will be able to enjoy a resort-style pool, patio, bocce ball courts, pickleball courts, dog park, and walking trails. As the community grows, there are sure to be a wealth of choices when it comes to clubs and lifestyle events as well as those provided by the Summerlin master association. Shea Homes has built Trilogy communities around the country and homeowners in the community will know they’ll be living in a modern and active age-restricted community. Between 2000 and 2006, Sunrise Colony Company built Siena, a 2,001 single-family and attached home community. It includes a community center, fitness center, golf club, and 18 different floor plans. Homes in the community are priced from the mid $200s and go into the low millions. Square footage starts at 1,040 and goes to 3,192 and the homes include one to three bedrooms, one-and-a-half to three-and-a-half bathrooms, and two to three-car garages. Amenities in Siena are split into three separate sections. The 39,000 square-foot community center is where neighbors can mingle and participate in the many different clubs, groups, and classes including ceramics, billiards, and music. The community is also home to the Siena Health and Fitness Center, a 16,000 square-foot building with a state-of-the-art fitness center, indoor lap pool, aerobics studio, and full-service spa. Outdoors, homeowners enjoy a pool and spa, lighted tennis courts, pickleball courts, horseshoe pits, and bocce ball courts. Siena residents also receive discounts to the Siena Golf Club. It includes a 15,900 square-foot clubhouse, pro shop, Siena Bistro restaurant, and 18-hole golf course. Regency at Summerlin brings an upscale yet quaint active adult community to Summerlin. Construction on 434 single-family homes in the gated community began in 2015. Prices for the three home collections begin in the high $400s and go into the high $900s. Home sizes begin at 1,665 and go up to 2,659 square-feet of living space. They include two bedrooms, two or two-and-a-half bathrooms, and two-car garages. Homeowners in the community enjoy a 16,669 square-foot clubhouse with a state-of-the-art fitness center, indoor lap pool, multi-purpose room, and game room. Outdoors, Regency at Summerlin includes an outdoor pool, tennis courts, pickleball courts, bocce ball courts, putting green, BBQ area, and walking trails. Regency at Summerlin homeowners enjoy a close-knit lifestyle that include dinner parties, Friday night cocktail parties, day trips, and golf outings. Request more information on 55+ communities in Summerlin!